Surviving Bokator is a heartfelt story about reclaiming cultural identity and building bridges between generations. 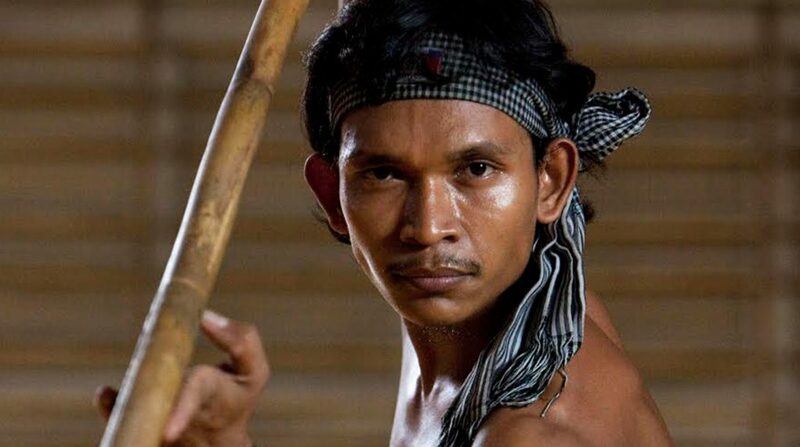 Filmed over 5 years, it is told through the struggle of an elder genocide survivor to resurrect the ancient Cambodian martial art of Bokator and preserve it in the nation’s youth. 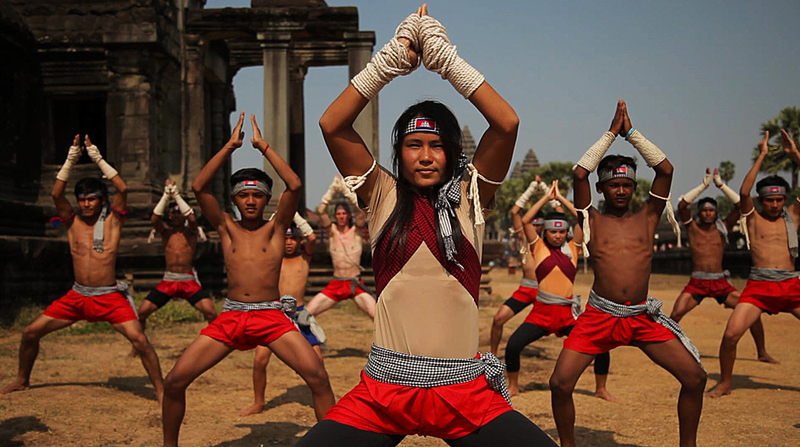 Through their journey, the film gets to the very core of the generational fracture happening in Cambodian communities around the world today, between genocide survivors determined to revive and maintain traditional ways and Cambodia’s youth looking to forge anew. While working in Cambodia on a martial arts segment for an experimental short film, director Mark Bochsler happened upon the story of Grandmaster Sean Kim SAN and his mission to rescue Cambodia’s ancient martial art of Bokator from extinction. Kim Sean referred to his mission as “surviving bokator” for the next generation. Mark immediately felt compelled to document this burgeoning grassroots movement of restoring Cambodia’s culture. Bokator (which has its techniques carved on the walls of the Angkor temples), became a metaphor for Cambodian’s collective strength, which was taken from them during the 1970’s cultural cleansing by the Khmer Rouge, the regime systematically executing practitioners of traditional arts, among many others. Upon embarking on this journey in the spring of 2010, Mark was unaware he would commit seven intense years to this project, having to face various challenges along the journey. But building deep relationships with the Bokator Family over the years has been a privilege — and being given access to tell this Cambodian story as a foreigner, an honour. Here is our interview with Mark. How did that initial brush with Bokator come about? Have you always had ties with the Khmer community? I was actually doing a small artshouse project, a creative piece not a normal character film, about martial arts in rural Cambodia. I did a bit of research and discovered Bokator and the journey of grandmaster Sean Kim San surfaced. He was trying to revive and restore this art form for the new generation. It was a fascinating story for me and this was in 2010. And I set up a meeting with him. And I showed up at his club in Orussey market in Phnom Penh in April that year. In a few hours of speaking with him, he laid out his past, present and more importantly, the future, of what was about to unfold or likely to unfold in the immediate future. That included being selected by UNESCO to go to South Korea to compete for the first time against other traditional martial arts groups. So that was how the film came about. I have not had ties with Khmer community . In Canada, we have a smaller population of Khmers. This whole journey, the Bokator journey, I have grown to develop a special connection and bond with these people. These are people who will be with me my entire life. I am fortunate to have spent such a long time in Cambodia and to be able to make this film into such a strong piece that it is now. At what point did you reach the decision that this needs to be a feature length project as opposed to a TV one, which would be vastly more manageable? It is a misconception that TV is more manageable. Just because it is a different length does not mean it is easier or harder to make. This film eventually will be cut down to television size when we convert it for TV. But when you are making content for TV, you are making it for a very specific target audience in mind. Also, TV has to fit other types of conventions, such as commercials. You the have to aware that this section will last 15 minutes and you have to wrap it up and then reintroduce them again once the commercial is over. The feature length format is quite unrestricted. You just have to make sure the film is watchable. You make it with the thought of your audience, who they are and how best to serve them. How to get your message to them. The feature film format is for me the preferred format. Finally, the type of film you do for TV is also different. It is quicker, and faster. You need to edit it in such a way that you jump quickly through scenes and explain a lot more than showing. TV tends to devalue the full immersive experience of watching it as a film. What were your biggest challenges in making the film? 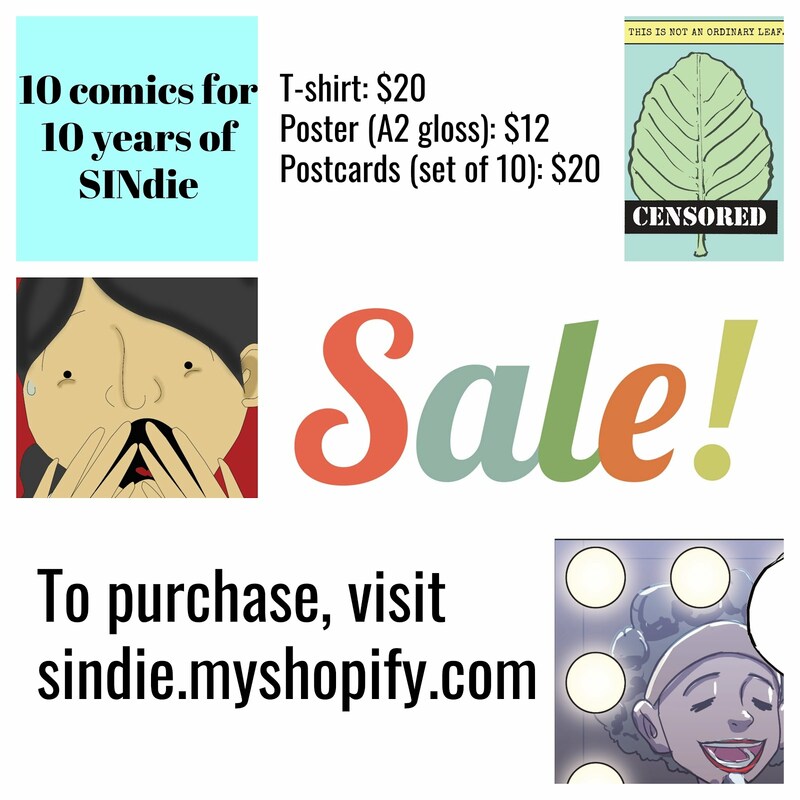 Raising funds for the films, esp in Canada. The most common issue posed in Canada was that there were no Canadians in the film. And especially if you were getting funding from the government perhaps, they would want to see some Canadian content. We also had to, at some point, change the editing team. They were hired and then had to go on to other projects that paid properly. So we had to reinvent ourselves, every 6-8 months or so, depending on what cycle we were in. That was the biggest challenge I would say and it led to bigger complexities. Was the local ecosystem conducive to facilitating the making of a project such as this? 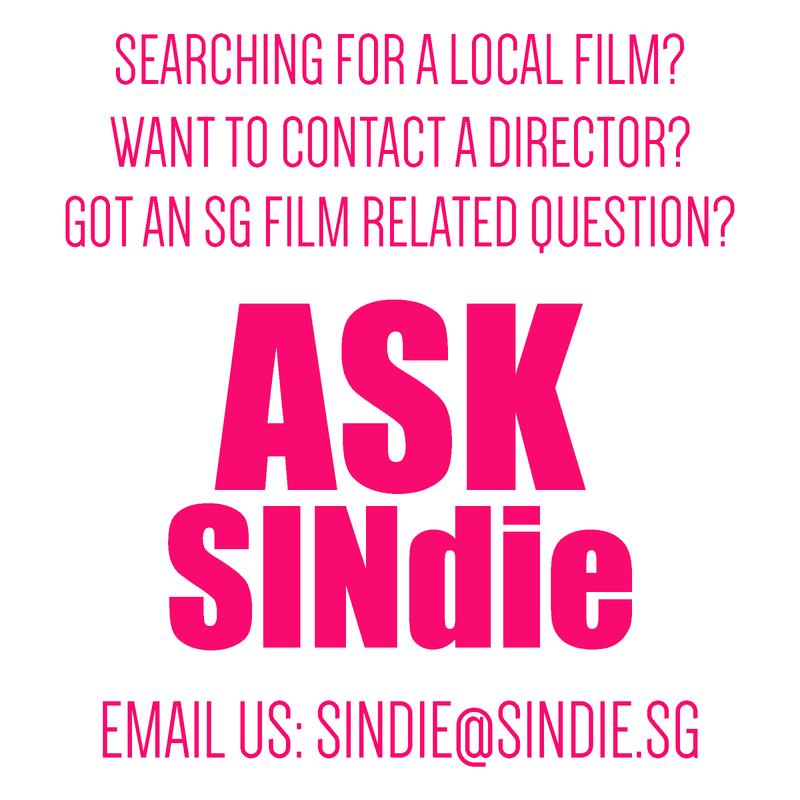 Or were the local film industry still lacking in certain aspects? I found it was quite conducive. I found that the access we had here was amazing. I dont think it could be achieved in the West. Its different. Filming in cambodia has been a joy and pleasure. As soon as people found out what we were doing, they offered to help and we made a lot of friends around the Bokator community and they went on to make their own films,. The people at Bokator were very creative. And very helpful, whether it was to do some translation or hold the microphone or to give guidance on location. When you get back to Canada, things are a bit more structured and you cant be as spontaneous. 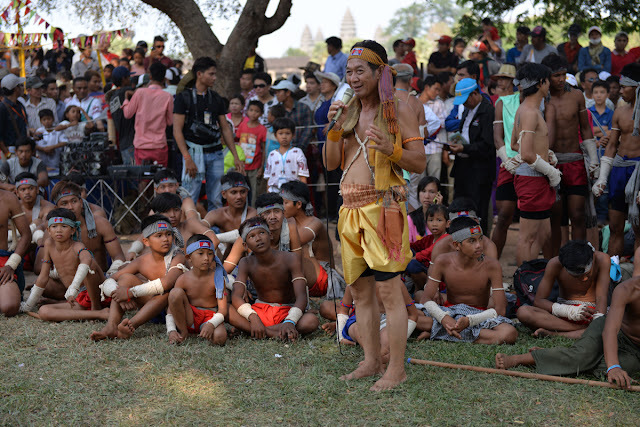 The local film industry in Cambodia is growing. There werent a lot of skills here so we spent some time training people. For instance, the Canon 5D Mark2 DSLR - not many poeple were using that, so I had to rent it from local photographers and then train people here. At the same time, there is an eagerness here to learn and grow. A lot of it is tired to the youth here. But we actually had to go back to Canada to do the editing there because I needed the skills of editors and story people who have worked on some very significant projects to help me through some of the hurdles we had. We had 400 hours of footage that we had to find a story in. Have there been any concerns about how the film's sensibilities may be informed by your perspective as opposed to the Khmer people's? I was very careful in taking on this project in that I didnt want to imprint my own viewpoint . ThatS a challenge because you become very self-conscious of where to place scenes in the film. These decisions arent always easy because you have to ask yourself: is this the way you would do it as a westerner in terms of your approach to storytelling or scene scripting, or is this how local people would do it? There was some conflict in the film and I had to backtrack abit and do my due diligence. It was a conflict between generations and I had to find out why the grandmaster reacted the way that he did to his disciples. That required some homework for me and I had to do a bit of research on my part to understand the collective trauma the genocide had inflicted on that generation. So that was quite an eye-opener for me and it forced me to consider certain issues that I had not considered in the past. At the end of the day, I would like to think that I represented Cambodia and the characters quite well. I didnt take sides with anything. I tried my best to represent the characters on each of their journeys as well as the collective journey so that the audience can decide for themselves when they leave the theatre. Mark Bochsler is an accomplished Canadian cameraman & photographer, turned filmmaker. During his 25-year career, his work has been screened internationally at festivals including Cannes (2010, At Home By Myself… with You), and television (ARTE, Animal Planet, Discovery, CBC). He was also nominated for a CSA / Gemini Award (Fatal Deception, CBC, 2013). Mark is a visual artist and storyteller fuelled by a passion to explore diverse stories about the human journey which can bring much needed empathy to today’s fractured world. Mark currently resides in Toronto, Canada with his partner in life and work, Sandra Leuba, and their two young children. Check out the other 9 films in our STOP10 list of Cambodian films from CIFF 2018.